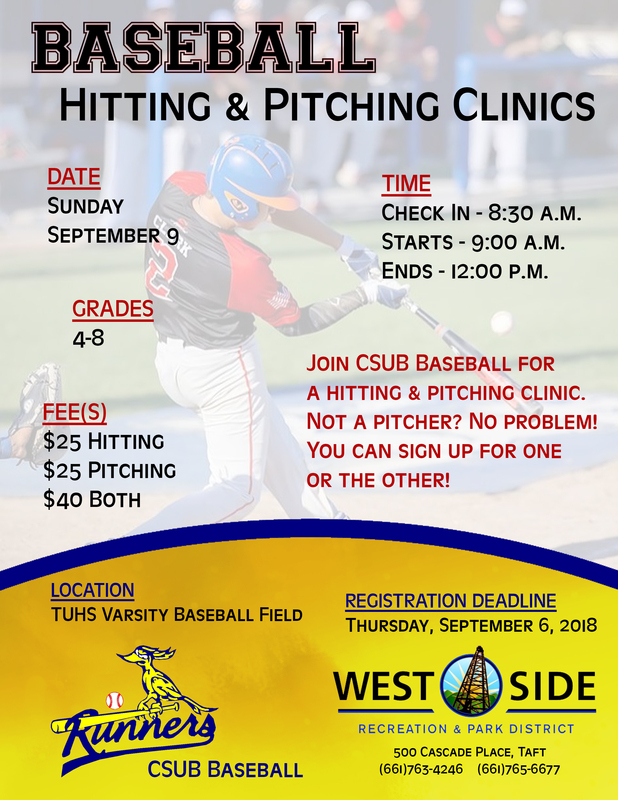 Join CSUB Baseball for a hitting & pitching clinic. Not a pitcher? NO problem! You can sign up for one or the other! Click here for more details! Join CSUB Baseball for a hitting & pitching clinic. Not a pitcher? NO problem! You can sign up for one or the other!